Since day one on the web. (Oct 1996) Way before the National Parks, the National Forests, the California State Park systems had their space online, DanaMite created this lil outdoor web site for researching the California back roads - and posting thousands of photos for YOU - the local Californian, the recreationalist, the outdoor nut, the outta state tourist. 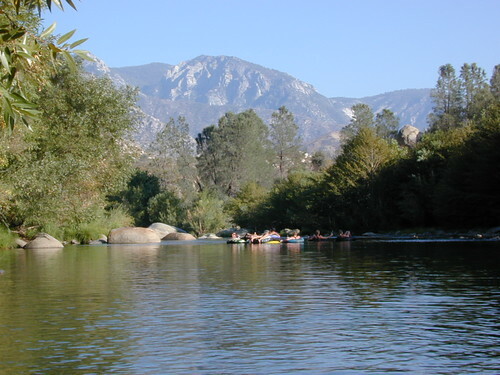 California has some of the most amazing scenery around and luckily, we have big water flowing this year. 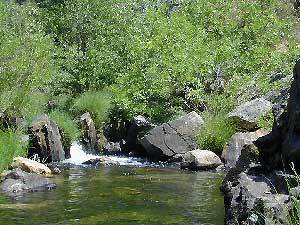 Snow melt in the Sierra Nevada is making for awesome creek camping and DanaMite is here to show you how to find such creeks. All the reservoirs are filling up, packed crowds, boaters, jet skiers & RV Camps. You might however, seek secluded camps and private waterfalls. Why are you waiting around for the ultimate camping partner? If you have no one to go with, so what, go anyway. You may only be dreaming of the day when someone in your life really wants to travel, when in reality, you could be enjoying so much of the outdoors right now. Yes, this weekend! Going solo doesn't have to mean lonely. Traveling the back roads of Cali, at your very own pace.